Discussion in 'West – California, the desert southwest and whatev' started by Hobbes950, Nov 8, 2018. You all ok? Any assistance needed? Not sure we could do much. Sounds like the rd down the hill is all one way traffic. Winds blowing at 50 mph. 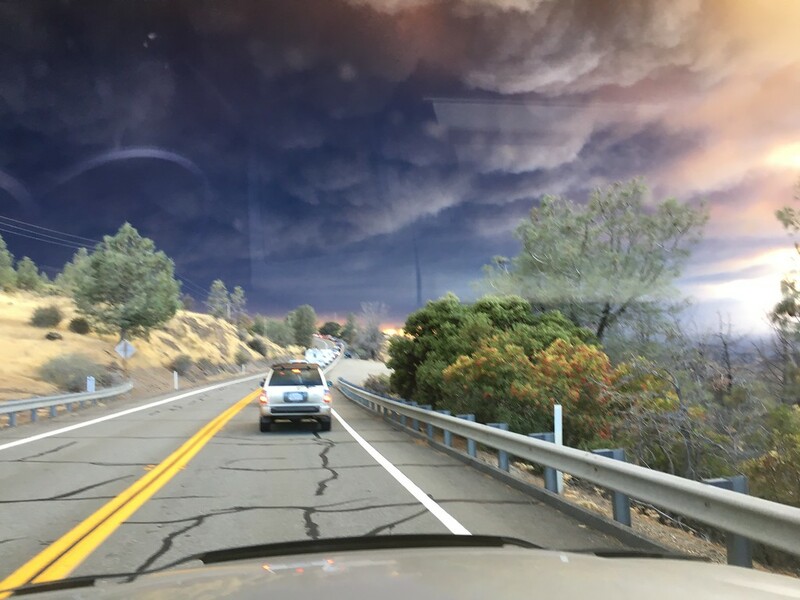 Here is a picture from my front yard, Paradise is a few miles up a canyon and, if the News is even close to reality, it sounds like they're trying to evacuate the entire Town of Paradise. Paradise is built on the top of a ridge and is inhabited by a lot of retired folks, with only a few roads out and in. yubanet.com has good up to the minute info. Listening to the scanner at work, sounds real bad. Two step brothers live in Paradise, I assume they are evacuated. 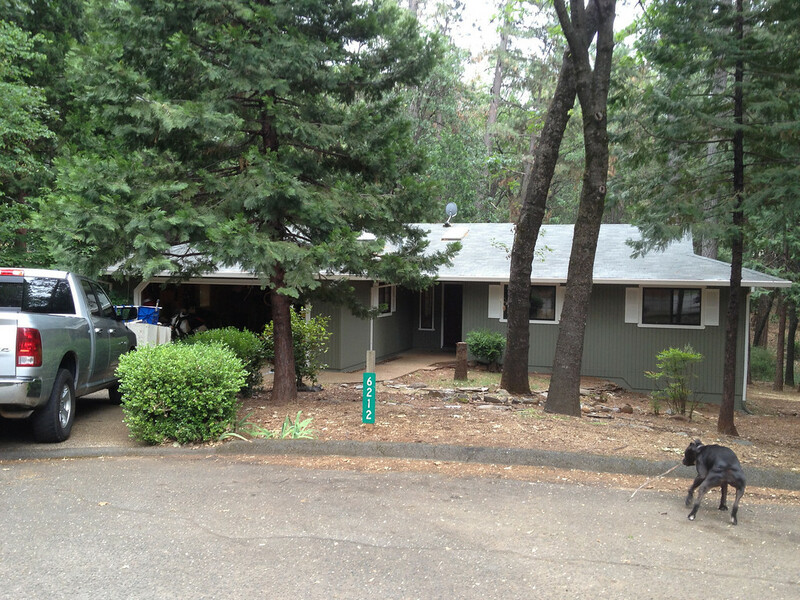 Their sister lives in Chico so at least they have a place to stay if need be. Not a whole lot of roads in or out of Paradise, lots of elderly folks also live there. Im in Chico, The gov just declared a state of emergency. Fire went from 100 acres this AM at 7 to 18,000 acres at last count. 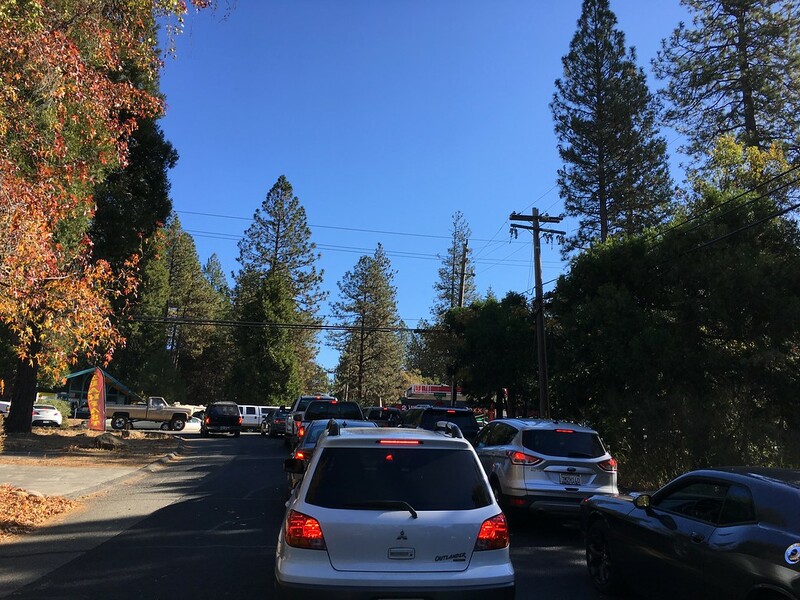 There is evidently gridlock in Paradise and folks cant get out much the last I heard. Although lots of cars have made it down the skyway during the day. Ambulances had to take 20 patients back to the paradise hospital due to gridlock,main building not burnt but outer buildings at hospital are burned or burning. It is a grim deal. 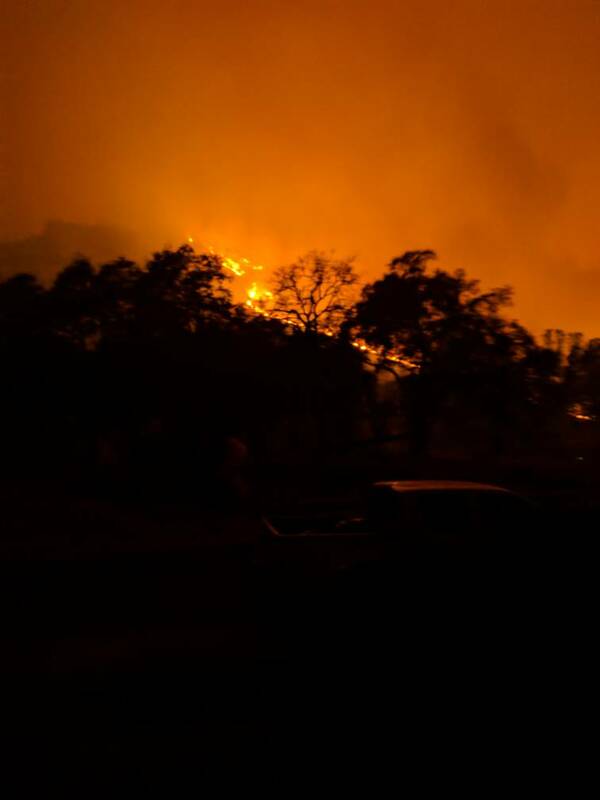 Thoughts are with you guys up in Butte County up on the hill! - CSUC Grad here. I miss blasting up Skyway, cant imagine it being gridlocked. This will not end well... part of the hazard of living in the Forrest. Thought and prayers are with you folks! They ran Skyway with all lanes going downhill,still are. The fire Marshall is now calling Paradise a write off,1000,s of structures burnt,too dangerous for firemen to even go in to town. They are trying to save people. From what I have seen Paradise is all but gone. the school is burned up, Black bear dinner, Food max, everything. Crazy stories from people with nothing left. People getting out of their cars and running due to traffic jams. Crazy Crazy stuff. Just read about this on the CBC. Really sad. If a relief fund is set up for the town, please share it here so we can donate. Red Cross or whatever else is used down that way. 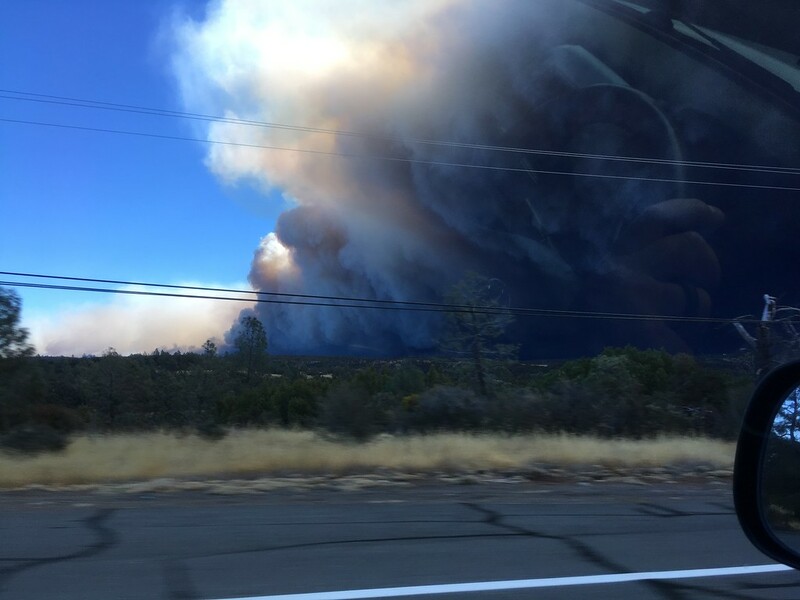 90,000+ acres burnt. 6500 homes burned. 260 businesses burned. They have not even gone into small outlying communities that have burned,nothing is being said about them so far. 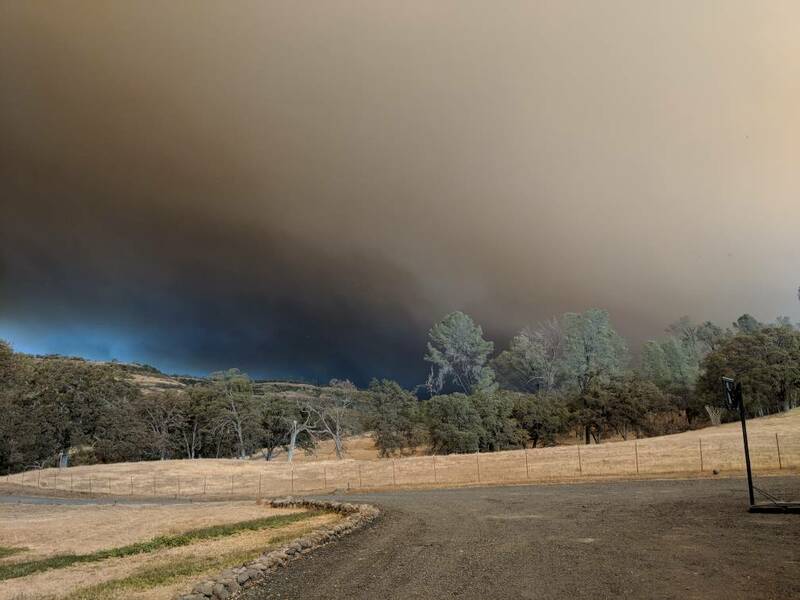 Butte Creek canyon got the fire too,the 120 year old Covered bridge has burnt,many homes burnt,Centerville got the fire. They were fighting it at Magalia last night,Stirling city and Inskip are evacuated. Concow burned twice in 08,now its burned again with out the benefit of fire trucks. Forest Ranch was suggested to evacuate,not an order as of last night. People are living in camps where ever they can in Chico and all over. Do you know if Howard made it out of Rag Dump ? Did his place survive ? Foot dragger, are you evacuated to Chico or did you move there? Wondering how you and your house were doing since I thought you lived between Pulga and Concow. We live at the end of William's Road, directly next to Butte College, and our Road is charred on both sides clear to Durham Pentz Road. I saw one house burn, and their propane tanks explode, up on the Ridge behind our place while we fortunately stopped the fire before it reached our barn. I can't over emphasize how important clearing brush and dried vegetation, aka a firebreak, up to 150' from any structures. Our house, barn and other structures, are completely encircled with charred ground. Here is a picture when we first saw the fire coming at us. Grynch, Off the grid, Rearwheelin and 5 others like this. Howard is out there at Ragdump by hisself,he and a friend cleared downed burned trees off the road to concow,he hopes he can also get out to the north to Sterling city,but it may evacuate also. Fire is creeping around the mountain from the south. Howard thinks it could make it to him sometime. Hes not a timid person and has been out fighting fire and cutting trees. Lots of borate being dropped he needs some layed down to the south now. As of now Ragdump is fine. Wind tonight could get uglier. Ive always been in Chico,but have ridden for years and explored and met people in and around Concow/Pulga/Ragdump. We lost our home last night in Magalia (POA), along with pretty much all our friends that live on the ridge. It took us 1.5 hrs to get out of our neighborhood with all our neighbors trying to get out and only one road in and out. Four hours total to get to Chico, which we had to evacuate from later that night. We're currently held up in a hotel in Redding, planning our next steps. We have our insurance claim started and the support from our family and friends has been incredible. We will land on our feet, it's just going to take a while. My prayers are with my neighbors on the ridge and our first responders. el Pete and Square1 like this.